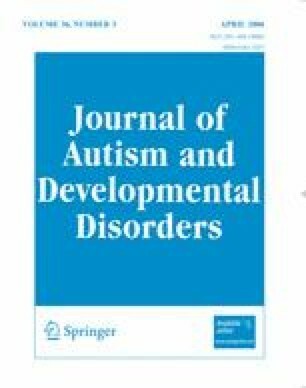 A multi-site study of 351 children with Autism Spectrum Disorders (ASD) and 31 typically developing children used caregiver interviews to describe the children’s early acquisition and loss of social-communication milestones. For the majority of children with ASD who had experienced a regression, pre-loss development was clearly atypical. Children who had lost skills also showed slightly poorer outcomes in verbal IQ and social reciprocity, a later mean age of onset of autistic symptoms, and more gastrointestinal symptoms than children with ASD and no regression. There was no evidence that onset of autistic symptoms or of regression was related to measles-mumps-rubella vaccination. The implications of these findings for the existence of a ‘regressive phenotype’ of ASD are discussed. The authors wish to acknowledge the participation of the families in all sites in the Collaborative Programs for Excellence in Autism (CPEA), supported by the National Institute of Child Health and Human Development (NICHD) and the National Institute for Deafness and Communication Disorders (NIDCD), particularly HD 35482 to the last author. The help of Colleen Hall, Kathryn Larson, Gwendolyn Young, Deborah Anderson, Matthew Brown, Amanda Edgell, Kaite Gotham, Daniel Karstofsky, Adrienne Lomangino, Margaret Kim, Jennifer Cooper, Amanda Taylor, Angela Fish, Norma Harary, Andrew Pickles, and Efi Sichondis is also gratefully acknowledged.